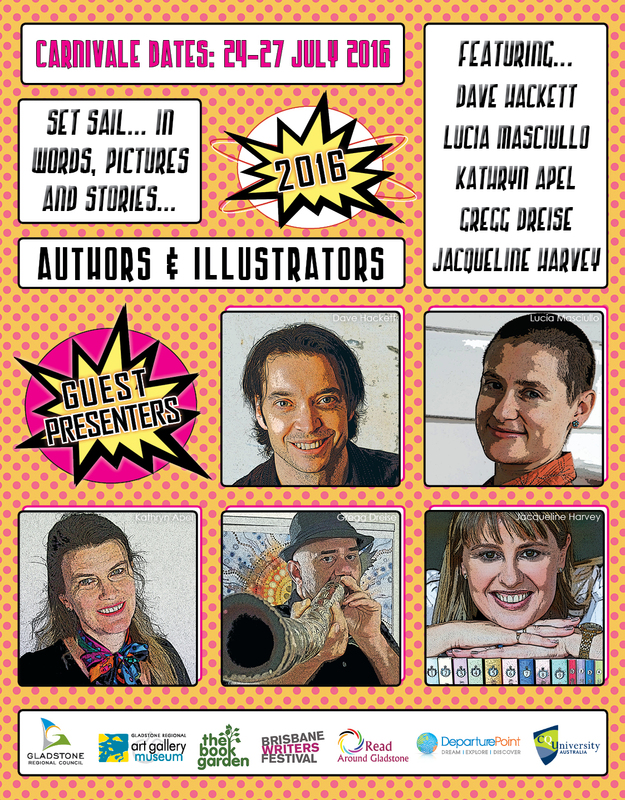 The Curtis Coast Literary Carnivale Committee held its seventh extremely successful biennial festival from 24–27 July 2016. Authors and illustrators who participated were: Kathryn Apel, Gregg Dreise, Dave Hackett (Cartoon Dave), Jacqueline Harvey and Lucia Masciullo. We thank our many supporters and long term sponsors, and are very pleased to report that this important cultural event succeeded again in attracting a large audience. The CCLC has grown from an event attracting 2,078 participants in 2005, to 5,865 in 2016.
contacts with members of the national writing industry. The 2016 Report is now here. Unfortunately, the CCLC Committee regrets to announce that it has decided to disband the organisation after twelve successful years.